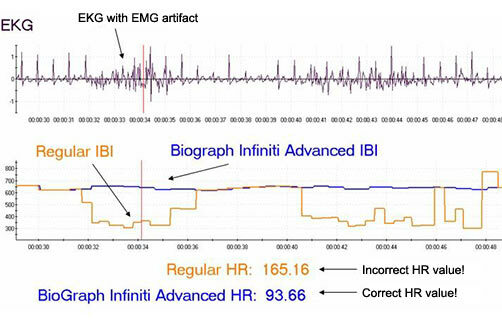 The BioGraph Infiniti software platform has been carefully designed to meet your current and future needs for biofeedback and psychophysiology - with maximum flexibility and ease of use. This software platform's modular design offers a selection of specialized Application Suites as well as powerful Application Developer Tools, to satisfy beginner and expert users alike. These options allow you to add additional features, as you need them. Not only will the software adapt itself to your needs, it will also grow with them as new modules become available. Unlike other biofeedback software packages, the BioGraph Infiniti software does not simply focus on providing entertaining multimedia bells and whistles. One of our top design goals was to make it the most powerful clinical tool possible. For this reason, we have put a lot of effort into making sure that the program's ability to produce valid data, track a client's learning curve within and across recording sessions and generate reliable reports were among its top features. Whether you are a clinician looking for a versatile biofeedback tool or a researcher who needs a powerful data-acquisition system, the BioGraph Infiniti platform is designed to offer you the most complete and adaptable software solution. State-of-the-art multimedia biofeedback: With the audiovisual capabilities to deliver physiological feedback in many creative ways, the Infiniti Software ensures that you have a multitude of options to choose from when trying to reach a diverse client population. Timesaving features allow flexible training routines: The BioGraph Infiniti Software allows you to load up to 5 feedback screens and switch between them, on the fly, during a session. This, and other timesaving features, lets you rapidly adapt the training task to your client's capabilities and provide an increasingly challenging feedback environment, without having to stop, load a new screen and restart your session. Scripted sessions facilitate standardized assessments and follow-ups: Time- and Event-based scripts let you run automatic sessions that guide the client through a pre-defined sequence of activities and generate activity-specific statistics. These powerful scripts help you standardize all your assessment and follow-up sessions for optimal clinical effectiveness. 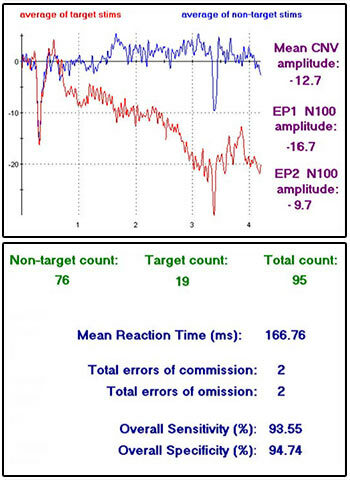 Synchronize psychophysiology with video: Extending your toolbox for client assessment and training, the BioGraph Infiniti software allows you to record your client's actions with one or two Web cams, and synchronize the video with the physiological signals. Powerful data-processing features: With its robust signal acquisition capabilities, accurate artifact rejection functions and flexible statistical analysis engine, the BioGraph Infiniti software allows you to easily normalize recorded data and generate reliable data. Specialized session reports: Scripted sessions generate sophisticated statistical reports that break down the session's data into meaningful segments and give you appropriate statistics for each segment. This ensures that you get only the most clinically significant information without having to sort through irrelevant numbers. Both raw and statistical data is saved. Trend reporting on client progress: BioGraph Infiniti's powerful trend report capabilities allows you to follow a client's progress from visit to visit, which gives you guidance regarding the next step to take. Trend reporting lets you easily demonstrate a client's learning curve, both during a given session and across sessions, to enhance case management and to facilitate reimbursement. The Screen Editor Lite is included with your software and allows you to change sound feedback and the animations from preexisting screens in Legacy and Multi-Modality. BioGraph Infiniti version 5.0 has enhanced compatibility with Windows Vista and comes with many exciting new features and new functions. Favorites & Quick Start: Launching your favorite screens or scripts has never been so fast and so easy. Simply select a favorite from either your favorite folder, Quick Start button or even a desktop icon. Quick and Easy Change of animation, sounds, threshold options and text of your screen with just one right-click directly from the recording screen. Two Webcams and Audio Recording: Record live video and audio from 2 separate webcams and play them back with synchronization of psycho-physiology signals. Ideal for couple counselling. Instant saving of video, with the ability to jump to any event markers. This facilitates easy review of clinical interactions or other events aligned with the body responses. The live video images can also be controlled by subject responses in 4 actions: on/off, blurry/clearer, brighter/normal or darker/normal. BioGraph is the only software on market that has this unique function. Improved DVD feedback: Automatic insertion of a Bookmark in DVD movie when a session is ended, so the next session will re-start the movie at that location. New Advanced EKG Algorithm: avoids artifacts from heavy movement and EMG interference, provides more accurate R spike detection and minimises the number of artifacts from missed or extra beats. With the new EKG wrist straps added to our line, Thought Technology now offers the most advanced and complete HRV package on the market. These features are not yet included in an application suite (coming soon), but they are available to those who use developer tools to design their own channel sets and screens. New Flash Animations: Easily add and use any flash animations as an option to AVI or DVD visual feedback. Dual Threshold on Line Graphs: Provide inside/outside type of visual and auditory feedback. New Left-Right Multi Bargraph instrument: for one or two EEG channels, allows you to easily and rapidly define up to 32 bands of EEG training. Programmable Respiration Pacer: with automatic pacing from the starting to target rate over a chosen time, by either respiration cycle timing in seconds or % of cycle. A Child Respiration Pacer can also be added to the second monitor. 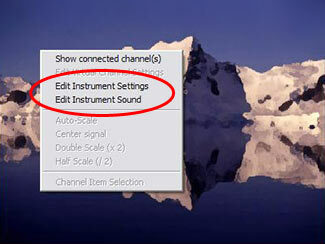 Any setting changes clinician makes on main monitor are mirrored on the second monitor. Poincaré Plot on Lissajous Instrument plots each IBI value against the previous one. BioGraph Infiniti, Legacy and Multi-Modality are trademarks of Thought Technology Ltd.